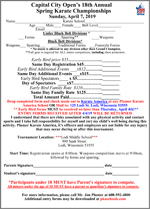 Plumer Karate America operates seven locations; Sauk Prairie, Lodi, Waunakee, Poynette, Baraboo, Portage and Medford. NOTE TO STUDENTS: If you attend a location other than where your card is kept, please mark the sign-in sheet located at that school to make sure you receive credit for your class. Mr. Pederson lives in Waunakee and is a fifth Degree Black Belt. 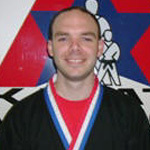 He has been involved in Martial Arts since 1993 and is the PKA Director of Self Defense. He is also a Blue Belt in Ju Jitsu. 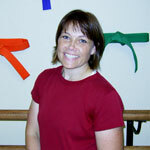 Becky is co-owner and office manager at the Waunakee location. She earned her First Degree Black Belt in 2014. Superfoot returns in April 2019! 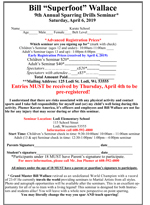 Click the image below to download the registration form.